DESPITE missing four Origin players, the Broncos have still named a strong team to take on the Tigers at Campbelltown Stadium this Saturday night. In-form Dale Copley will move to the centres, with Lachlan Maranta to come onto the wing. Todd Lowrie and Jarrod Wallace will start in the forward pack, while an extended bench includes young Jake Granville, Martin Kennedy and Jordan Kahu. 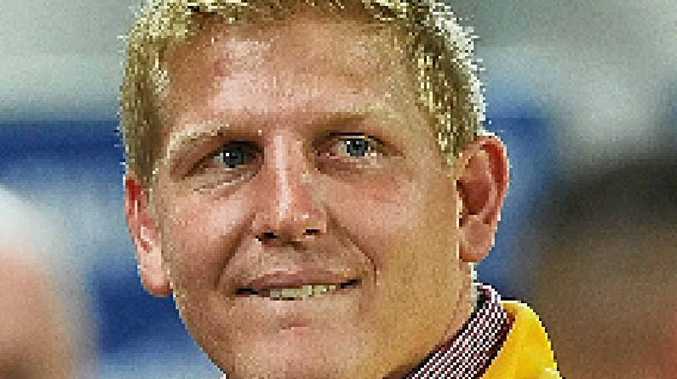 Broncos prop Ben Hannant has been named on the bench after he was a last-minute exclusion from the team that beat the Titans last Friday night. The Maroons representative tweaked his groin the day before the game, but is looking forward to spearheading his team's depleted pack during the testing Origin period. Meanwhile, Raiders half Mitch Cornish will make his NRL debut against the Cowboys at GIO Stadium on Sunday. Cornish has been named on a five-man bench, with Joel Edwards returning to the Raiders' starting team, due to Josh Papalii missing through Origin duty. That good news was somewhat offset by rookie centre Matt Allwood signing a three-year contract to join the Warriors at the end of this season. At the Rabbitohs, physiotherapist Eddie Farah has been impressed by Issac Luke's recovery from a shoulder injury, saying he should return in the next few weeks. "He's been working hard on his rehab and he's achieved all the goals we've set for him so far, and he's got a couple more to tick off before we let him play," Farah said. "But he's getting very close."